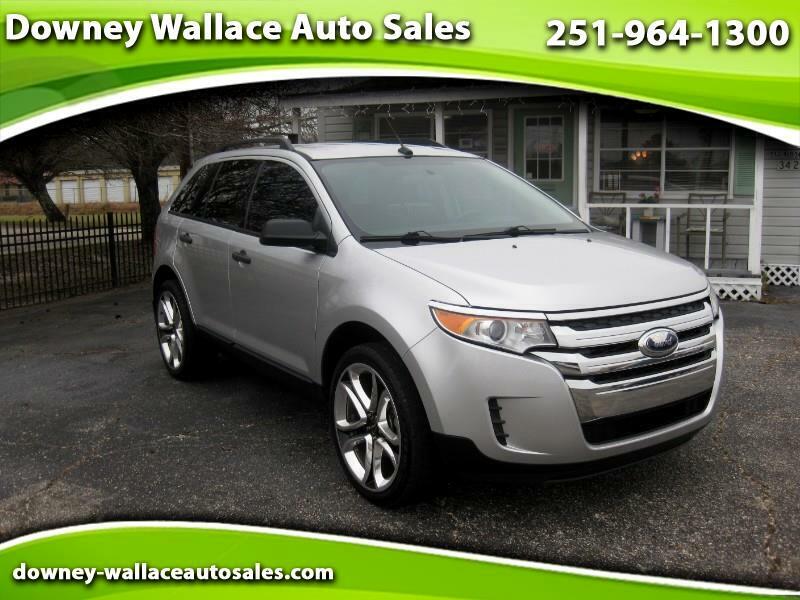 This is the 2013 Ford Edge SE. The Ford Edge offers 5-passenger accommodations in multi-purpose SUV that does just about everything right. Stylistically, the Edge stands apart from most SUVs with an aggressive front end and this Edge comes with 20 inch rims. Its suite of electronic audio and communication equipment is on the cutting edge. Equally appealing is the Edge's interior, which can comfortably accommodate four adults (five in a pinch) and is beautifully styled with quality materials used throughout. It also has a configurable instrument cluster that looks as if it were plucked right out of a concept car. The condition of this Edge is great both inside and out. The CarFax report shows NO reported accidents and no current issues. Carfax also shows that this Edge has only had ONE OWNER. This is a very nice Edge that you will be proud to own and drive. Stop by today and check it out in person. You are going to love it!